Summer’s end is now in the rearview mirror. And an end-of-summer ritual for us has become a beach excursion. We travel to Delaware’s Bethany Beach, a small resort community near the Maryland line, in September after the crowds leave and when the rates drop. We know we’re taking a chance on weather, but you do that every time you book a beach vacation, no? Me at the beach. Not. One year, however, a friend recommended staying in a townhouse at Bethany, rented out by a friend of hers. We took a chance and had a delightful time. The townhouse was a long walk or a short drive to the beach itself, and it was surrounded by trees, had a nice kitchen and living space, and a deck. Its community had a swimming pool and tennis court. When we moved to Vermont, it was hard to get to the beach, even to closer Cape Cod. Something always seemed to get in the way. But one year we managed to cram in a vacation with two of our three kids (the other was doing an internship) at the same Bethany townhouse. Now, all the kids are grown, out of the house, on their own. You know what that means–we are no longer tethered to school schedules! So, we could go “danny ocean”…in September. September when it’s still warm, when the water itself is warmer, when everyone else has gone home. Bliss! Instead of heading back to the townhouse, we chose another resort community called Sea Colony. For those on the East Coast near the Delaware beaches, I recommend it. It offers either oceanfront high-rises or inland “tennis community” condos across the coastal highway. We choose the latter. I don’t play tennis, but my husband does. Besides, those condos are situated on lovely little ponds, with pleasant decks that beckon you at twilight, glass of wine in hand. They also feature a heated outdoor pool where this non-ocean-swimmer can joyfully paddle in the mornings. We’ve made two discoveries while there I’d like to share with other Bethany beachgoers: McCabe’s Gourmet Market and Catch 54 Restaurant. McCabes is a little south of Bethany proper on the Coastal Highway, a small market crammed with essentials and delicacies–pastries that could compete with those from any French patisserie, specialty foods, coffees and…frozen prepared dishes. If you’re feeding a condo full of friends or family, try their frozen lasagna. Catch 54 is a restaurant in nearby Fenwick Island, on the bay side (Assawoman Bay — I’m not making that up). The owners pride themselves on using as much local bounty as they can. The food tasted fresh and flavorful, portions were perfect (not oversized), service spot-on, and the view from the deck–outstanding. Be warned–don’t bother putting the address in your GPS. Ours led us astray. The eatery is on Route 54, across from Harpoon Hannah’s, another bayside restaurant. The deck of Catch54 restaurant. 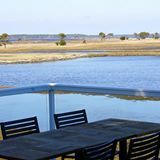 The past few years we’ve gone to Bethany Beach, we’ve been very fortunate with wonderful weather–sunny days, temperatures either hot or warm. Yet every visit, when we leave, the weather seems to change. This year, temps dropped the day before we exited, as if to say, summer’s over, you can go home now. What a wonderful way to cap off a lovely season! Time to start planning for next year. Libby Sternberg is a novelist. Buy her books so she can afford to go to the beach next year, too. 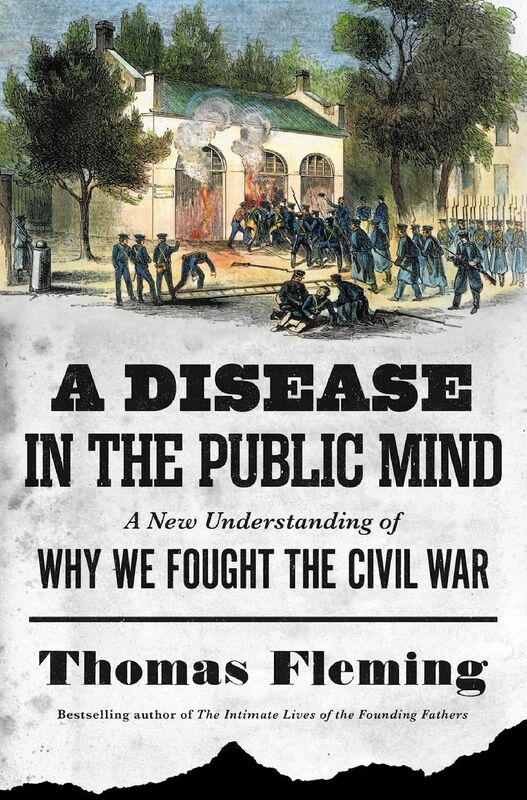 Thomas Fleming’s book A Disease of the Public Mind: A New Understanding of Why We Fought the Civil War is specifically about why America fought the Civil War. But it also provides invaluable insights into public policy debates in general. When opposing sides of a policy argument end up hating their adversaries more than they love those who would benefit from their cherished policy, beware. Battle, of some sort, looms. In this page-turning book, Fleming attempts to answer a very specific question: Why did America, of all the civilized countries with histories of slavery, engage in a civil war to end this horrible practice? Great Britain, Brazil, Cuba, all ended slavery without resorting to the civil war that occurred in the United States of America, where brother sometimes fought brother over the right to own slaves or not. The simple answer to Fleming’s question can be found in two passionate emotions: hatred and fear. But when you finish the book, you’ll be surprised at who seemed filled with the most hatred. Hint: it wasn’t the South. Fleming poses his question after presenting some intriguing facts in the book’s preface: Only 6 percent of Southerners owned slaves. And of that 6 percent, a much, much smaller percentage owned 50 or more slaves, qualifying them for the title of “planter.” Yet Southerners who didn’t own slaves fought shoulder-to-shoulder with those who did. Did they love slavery that much? Did they disdain the African-American so fiercely that they were willing to die for such hateful beliefs? Fleming proposes that the South was motivated more by fear than hatred. They feared a race rebellion that would leave their wives, sons and daughters dead and/or mutilated, killed perhaps with ghastly spikes or machetes after watching their menfolk dispatched in the same way. These weren’t unreasonable beliefs, Fleming points out. News of the 1804 race rebellion in Santo Domingo (now Haiti) carried gruesome accounts of whites being “hacked to death,” killed by amputation and beheadings, even after they paid ransoms to leave the island unharmed. But maybe most influential was the story of the ferocious abolitionist John Brown. Brown was bankrolled by wealthy northern abolitionists. He used some of the money to create a cache of spikes (found among Brown’s weaponry at the failed 1859 Harper’s Ferry raid) specifically to give to slaves to kill southern whites. The message many southerners absorbed from this was unambiguous: It wasn’t merely that northerners didn’t understand them. Northerners, in fact, wished them dead at the hands of slaves. There wasn’t much negotiating room there. Brown himself was a maniacal terrorist who killed indiscriminately; among his earlier victims was a Kansas family, people who never owned nor intended to own slaves. The surviving mother of that slaughtered clan wrote Brown a note before his death in which she wished her surviving son could be at Brown’s hanging. The first man to die in the Harper’s Ferry raid, by the way, was a freed black man killed by Brown’s marauders. When northerners—including the Sage of Concord, Ralph Waldo Emerson—made John Brown into a hero and martyr, Southerners felt their concerns were more than justified. Northerners cared nothing about their fears of slave insurrection. If anything, they supported such a possibility. In “dozens of New England cities,” Fleming wrote, church bells rang to mark the passing of Brown. He probably spoke for most Southerners. The majority might not have cared all that deeply about slavery, but they weren’t about to let Northerners who hated them end the practice without ensuring the safety of Southern whites. This is the “disease of the public mind,” of which Fleming’s title speaks. It was the consuming fear among southerners that their survival was at stake. On the northern side, the “disease” was a sickly concoction of hate-inspiring conspiracy theories about southerners—so many Founding Fathers and early presidents and leaders had come from the south that Northerners dubbed this dominance as “the Slave Power,” as if it were a vast cabal tied into all aspects of power and privilege, something that could only be toppled with bloodshed. Slavery, of course, was a ghastly practice that never should have begun and should have ended quickly. Fleming doesn’t spend a lot of time on moral opprobrium, however. He’s more interested in telling the story of why Southerners felt so afraid for their families that leaving a Union indifferent to their fears seemed their only recourse, and then armed defense of their home states the only final option. This hatred—of southerners—eventually inspired one passionate abolitionist to leave the cause. Fleming tells the tale of Theodore White Weld who, after working hard at the anti-slavery cause, eventually came to the conclusion that calling slave owners vicious names and being indifferent to southerners’ fears of slave insurrections did not help anything and was, in fact, the opposite of Christian charity. Fleming doesn’t offer any suggestions as to how the Civil War could have been avoided, but an imaginative mind can envision scenarios. Perhaps a compensation plan, akin to the one Great Britain adopted for its West Indies slave-owners, coupled with assurances of federal aid in the event of the feared race war, would have gone a long way. The Virginia legislature had, after all, seriously debated ways to abolish slavery in the state, and didn’t vote to secede from the union immediately. Surely there was room for compromise among thoughtful southerners. Was there in the north? There’s no question slavery was evil. But not all southerners were. When they decided to fight, they were more likely fighting to defend home and hearth against the imagined race war. The north certainly had never taken their fears seriously and had, in fact, affirmed them at times by underwriting terrorists like Brown. The lessons to take away from Fleming’s excellent work are plentiful. But one that has played in my mind for some time before even opening his tome was this: to move any policy forward effectively, adversaries shouldn’t resort to demonizing their opponents. In modern times, this demonization process is a great fundraising tool. Like John Brown’s wealthy northern backers, rich activists open their wallets to fund many policy campaigns (at this point, I’m sure liberal readers are thinking “Koch brothers,” while conservatives are thinking “George Soros” and Hollywood). Social media, too, often fans the fames of outrage, as advocates use it to grow mailing lists and locate potential donors. But the results of these tactics are troubling. Hatred becomes more important than problem-solving. Tenderness and empathy for differing viewpoints, even when disagreeing with them, is lost. And occasionally, even violence erupts (such as the SPLC’s listing of the Family Research Council on its “hate map” because of its opposition to gay marriage, inspiring a maniac to shoot up the FRC headquarters). In such an environment, calling gay marriage opponents bigots becomes more important than actually treating opponents’ concerns about marriage seriously in order to effectively dispel them; hating the NRA becomes more important than effectively pushing gun control forward; loathing the NEA becomes more satisfying than the hard work of choice-oriented education reform. Fleming’s compelling tale is a new look at an old issue, but it has much relevance for today. Libby Sternberg is a novelist. 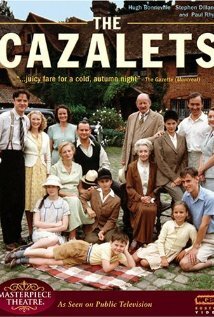 Years ago, my daughter and I became entranced by a short series shown on PBS called The Cazalets. 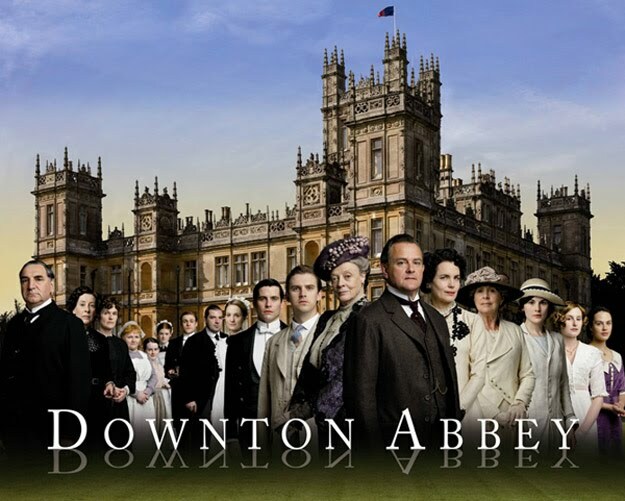 The actor who played the older brother in the show was none other than Hugh Bonneville, who went on to great name and face recognition as Robert Crawley, Earl of Grantham, in the popular Downton Abbey series. But the two stories have more in common than just a lead actor. Both tales involve the struggles of a British family and their servants through the life-changing experience of war. In Downton Abbey’s case, it was the First World War that played a pivotal role in the first two seasons. I only became aware of these books on the recommendation of my sister. After I’d expressed my enjoyment of the PBS series, she pointed out that they were based on a series of novels. The author, Elizabeth Jane Howard, might not be a household name, but she’s written more than a dozen novels and is the mother of novelist Martin Amis. 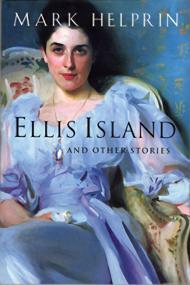 The cast of characters in her Cazalet books is as varied and numerous as those in Downton Abbey–maybe even more so. The Cazalets, however, are not members of the aristocracy but rather, successful British industrialists. Each book includes at the beginning a family tree as well as a list of the servants and the households to which they are attached. These come in handy as Howard moves seamlessly from story line to story line, following everything from the cook’s romance with a chauffeur through marriages and romances for the estate owners themselves. A notable difference between the Cazalet series and Downton is the inclusion of the viewpoint of children. At the outset of the series, the Cazalets’ brood of children is large and ranges from infants to preteens. By the time the books finish, the teens have matured into adulthood. We follow their lives, as well, including the troubled and talented Louise Cazalet, who aspires to be an actress. 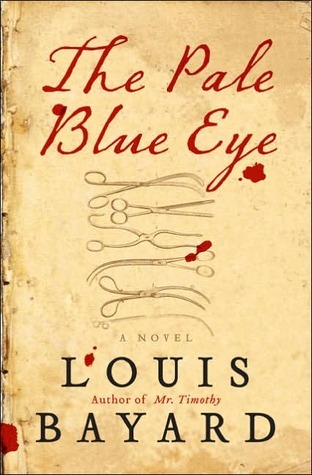 Louise’s narrative arc makes one wonder if the author was telling her own story–they both share a birth year, and Elizabeth Jane Howard herself was an actress and model before settling down to writing. Period detail enhances Downton Abbey. It permeates the Cazalet series, too, in small and significant ways. The author didn’t need to do historical research–she was writing about a period she’d lived through. So you, the reader, are given a window to peer through at the ordinary lives of British citizens as they struggled with rationing, air raids, shopping for underwear, getting perms for their hair, dealing with parents, children, and the meaning of their lives in the midst of upheaval. She had thought that a weight would be lifted once she had got into the train with the visit behind her, but the pall of boredom and irritation was quenched now only by guilt, as she thought of all the ways in which she might have given her mother more pleasure, been kinder, nicer, more patient. Why was it that, in spite of all these years during which she felt that she had grown from being a spoiled and selfish girl into a thoroughly grown-up wife and mother and responsible member of a large family, she had only to be with her mother for a few minutes to revert to her earlier, disagreeable self? These insights abound, as do wonderful revelations about life in Britain in the 1940s. These books are a must-read for any author wanting to pen a tale set in that time and place–no amount of research on the time would provide you with as much useful detail of everyday life. Sad to say, but the books appear to be out of print, so they’re a bit pricey as you try to find good used copies. But if you pick up the first book, you will likely be hooked. Libby Sternberg is a novelist. Buy her books so she can buy more books, too! It’s odd to write a “Thank God it’s Wednesday” post on such a sad anniversary. But I try to view every day of life as a blessing, so even these sorrowful ones have a measure of grace in them. On this horrible day in 2001, our family was as shocked as the rest of the country. We went through the same sense of disbelief as we watched the towers fall, the same sympathy for the lost and their families, the same horror at the hatred that triggered those ghastly actions. That evening, we attended an impromptu church service, led by clergy from several parishes. We prayed, we joined in hymns. One thing we didn’t do–sing patriotic songs. 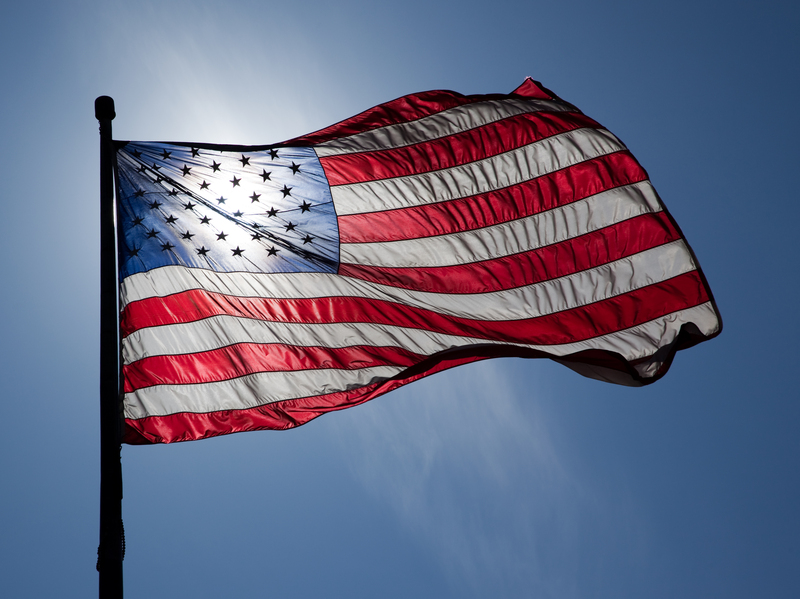 I remember waiting for someone to announce a song about our country–I knew they were in the hymnal. And to this day, I regret not finding the right page and just beginning to sing one myself. I’m absolutely positive the congregation would have joined in heartily. If you’re in an adventurous mood and want to try a new author, maybe something literary or at least upmarket, may I make a suggestion? I have two favorite authors who, while not obscure, are not household names. I heartily recommend their works. They are: Mark Helprin and Louis Bayard. 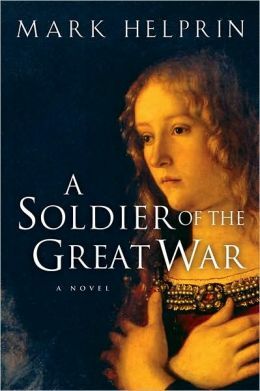 Mark Helprin: I discovered this author when I read a review of his novel A Soldier of the Great War that intrigued me. Then I was entranced by his soaring prose. To say he writes prose that sings doesn’t quite capture it. His storytelling is a Mahleresque symphony that combines light and dark, humor and heartache, whimsy and grit. The sea moderated, and the land sent out signs–not doves, but gulls as white as wave crests, who came to join us days before our landfall, and followed on vibrating wings that seemed unsteady but had been strong enough to carry them, through winter air, across hundreds of miles of sea….a day from port I saw a cloud bank that seemed anchored in place over all of North America. Only on the sea was the sky clear, in patches of the palest blue, and the sea itself was as flat and glassy as oil. Then there was nothing but cold fog and blasts of the whistle. The officers doubled their watches, standing outboard on the flying bridge, listening like hunting dogs or men who are awaiting a miracle. The first time our blasts were answered, they lifted their binoculars and peered out to sea. They closed their eyes like symphony conductors and strained after the sound. “I write books,'”I said. Little did I know that in America no one ever believes this, as if all the books that appear are written not by living people, but by hairbrushes, watermelons, and branding irons. She looked at me the way one looks at a madman. Eventually, our hero lands in the city and goes from adventure to adventure, trying to find lodging and work. When he’s told that Jews “were not wanted for manual labor,” he determines to give a name he thinks sounds all-American: Whiting Tatoon. “Ellis Island” feels breathless when you read it, as much poetry as prose. Helprin’s soaring novel Winter’s Tale is set to be released as a movie next year. I recommend reading his Memoirs from Antproof Case, A Soldier of the Great War, and stories in the collection The Pacific. 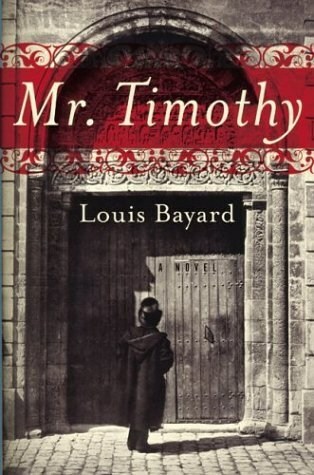 Louis Bayard: I first discovered Bayard when I picked up his book Mr. Timothy. I was in the middle of writing a retelling of Jane Eyre (Sloane Hall, cough::cough shameless plug), and I was interested in other re-creations of famous tales. Mr. Timothy isn’t a retelling as much as a continuation. In it, Bayard covers the sweet and sad story of Timothy Cratchett — Tiny Tim from Dickens’s Christmas Carol. What a brilliant idea! But as many readers know, not every bit of genius translates into a compelling story. Mr. Timothy delivers, however, in both storytelling and characterization. In Bayard’s vision, Timothy has lived his life on the generosity of his “Uncle” Scrooge who has continued to subsidize him into adulthood. This has left him without ambition and generally drifting, until a murder mystery presents itself. But Bayard writes more than just a good mystery. His specialty is plumbing the depths of ennui. His main characters end up confronting some buried sorrow before the story is over, and even if the mystery is solved and the catharsis of discovery endured, sometimes the ensuing flames still consume those they cleanse. There comes a time, I think, in every man’s life when he is forced to see his utter helplessness. He spends his last penny on a drink, or the woman he loves sweeps her plate clean of him, or he learns the man he trusted with everything wishes him only evil. And in that moment, he is bare. That’s how Poe stood now in the middle of that room, as though every last strip of skin had been peeled away. His bones wobbled inside him. “I assume you are finished,” he said finally. Dignity, yes, that would be his last redoubt. He would hold his head high as he made his way to the door….Something would make him speak, in a scalded voice. What a magnificent back story to come up with for Poe’s haunting writing–that he was trying to make all his readers feel the pain he’d suffered as a callow young man trying to impress, to be loved, and rudely brought back to reality. Just as you think The Pale Blue Eye’s mystery is solved, Bayard throws in a final scene that will break your heart. It’s a tour de force piece of writing. I now read whatever new mystery he releases: The Black Tower, The School of Night, and I eagerly await next year’s Roosevelt’s Beast. Coming soon, I’ll share with you information on a series of books that should appeal to Downton Abbey fans! Libby Sternberg is a novelist. If you buy her books, she can buy books, too.